The robustness of the image processing algorithm is very important based on vision sensor in robotic seam tracking, which will directly affect the accuracy of weld seam shaping quality. Especially in GMAW (Gas Metal Arc Welding), there is a lot of strong noise image. 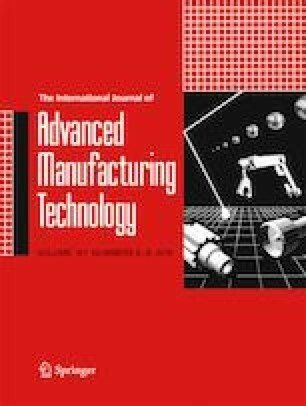 This paper studies an algorithm for the several weld seam images with strong noise in robotic GMAW, such as the atypical weld seam, the strong arc light and the large spatter. Based on a purpose-built visual sensing system, the fast image segmentation, the feature area recognition of the convolutional neural network (CNN), and the feature search technique are used to identify the weld seam features accurately in the algorithm. The selection range of the threshold is increased from 0.5 × 107 to 0.9 × 107 by using the proposed algorithm, which reduces the difficulty of parameter adjustment and increases the stability of seam tracking system. And, the accuracy of the CNN model was 98.0% for the atypical weld seam identification. To evaluate the robustness of the proposed algorithm, the accuracy is verified using experiments on two typical strong noise images. The experiments show that the average error of feature extraction accuracy is 0.26 mm and 0.29 mm. The results show that the proposed algorithm can extract the feature of weld seam image with strong noise accurately and effectively. Rongqiang Du and Yanling Xu contributed equally to this work. This work is partly supported by the Shanghai Natural Science Foundation (18ZR1421500), the National Natural Science Foundation of China under the Grant Nos. 51405298 and 51575349, and the project of Qingpu District, and the State Key Laboratory of Smart Manufacturing for Special Vehicles and Transmission System (GZ2016KF002).